Just around the corner lies a new horizon. A horizon that will change the way that we see everything and everyone. A massive paradigm shift is about to occur. As science finally begins to catch up with sacred knowledge, we are seeing amazing discoveries and advancements. As we learn more about our amazing universe, the more we can see the interconnectedness of all things. In addition to this, we begin to realize that the universe is filled with a majestic order, that leaves one contemplating the Great Creator. This amazing geometric order to the universe is anything, but random. It is apparent on all scales as well. Basically, the entire universe is mirrored in everyone and everything we see. Scientists on the cutting edge of technology and physics are discovering that this order to the universe is anything but an accident. How could something so geometrically perfect explode out of nothingness? Wouldn’t an explosion result in disorder and chaos? Apparently not, when everything is linked together in a holographic, geometric web of existence. When NASA sent the Hubble telescope on it’s mission into deep space, they were hoping to photograph parts of the universe that had never before been seen. As the craft went further and further out, it started to become apparent that space is never-ending, and that elements that exist in our plane of reality are the same throughout the galaxy and beyond. As the Hubble went further along on it’s journey, one of the things that it photographed was the famous “hourglass nebula”. Discovered by Annie Jump Cannon and Margaret W. Mayall, it had long been seen as a random planetary nebula. It wasn’t until the Hubble telescope was able to focus in on it and get some clearer images that we were able to see the sophistication and the beauty of it. What seemed to be the insignificant remains of a supernova, was actually a complex geometric vesica piscis with what appears to be an eye in the center looking directly at us. In fact, the eye is so detailed that it even has a twinkle of light in it that shows a clearly defined 3 dimensional object. 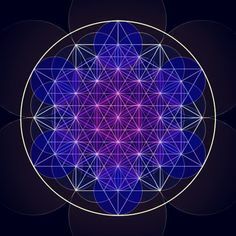 How is it possible that an exploding star could create such beautiful, sacred geometry?